Today, Sh. 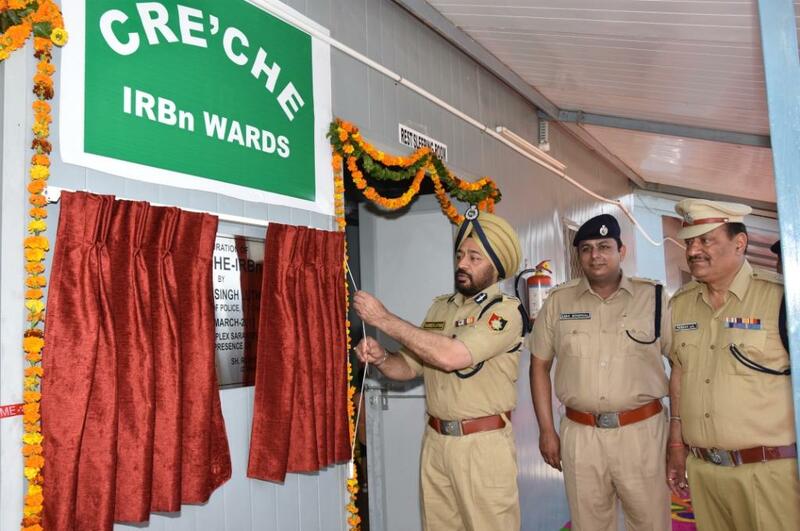 Tajender Singh Luthra, IPS, Director General of Police, UT, Chandigarh inaugurated the Extended Dispensary and Creche at IRBn Complex, Sarangpur, UT, Chandigarh. Sh. Eish Singhal, IPS, SSP/UT, Dr. Rakesh Kashyap, Director Health Services, Sh. Roshan Lal, Commandant/IRB & SP/Communication & Law and Order, Dr. G. Diwan, DMS, Doctors, DSPs, Panch/Sarpanch and residents of surrounding villages/colonies were present on this occasion. Earlier the services of this dispensary was available for IRBn staff only and on seeing better response from public of surrounding area and with the approval of W/DGP its services has been extended for public. The Sarpanch from Village Khuda Lahora, Sarangpur, Masatgarh, Parachh, Shinghari and Seonk were present during the inauguration function. The timing of dispensary has been set from 8 AM to2 PM (except Sunday & Gazette holidays). The 24 hrs. Service of Ambulance has been provided at the Dispensary. Dispensary is headed by Dr. Vandana Janmeja alongwith two pharmacist and 4 assistants will give services at this Dispensary. Besides above, an award function was also held at IRBn Complex, Sarangpur, UT, Chandigarh in recognition of good work done by Civilians, Traffic Marshals & Police Personnel’s. On this occasion, police personnel who retired from police services after attaining the age of superannuation were also honored by Sh. Tajender Singh Luthra, IPS, Director General of Police, UT, Chandigarh. The nine police officers who retired from government services after attaining the age of superannuation are Inspector (ORP) Ranjeet Singh, Inspector (ORP) Sukhwinder Singh, Insp (ORP) Dharam Paul, Insp (ORP) Jai Pal, Inspector (ORP) Tarsem Singh, ASI (ORP) Ashok Kumar, ASI Jaspal Singh, ASI (ORP) Ram Lubhaya and Sh. Dharam Chand (cook). All retirees were honored by the W/DGP/UT with momentums and certificates. The families of retired police officers were also invited on this occasion. Sh. Fateh Singh R/o # 3149, Sector 39-D, Chandigarh was rewarded with cash Rs. 5,000/- with 1st class Certificate for saving a life of accident victim. On 24.02.2017 he saved a life of an injured person by lifting him to PGI from an accident spot in case FIR No. 27 dated 24.02.2017 U/S 279, 337 IPC, PS-03, Chandigarh. Sh. Vinod Kumar Sr. Assistant posted as in-charge at Estt.-II Branch at Police Headquarters was rewarded with cash Rs. 5,000/- with 1st class Certificate for performing his duty with dedication and entire satisfaction. Ms. Saroj Rishi, Music teacher at Govt. 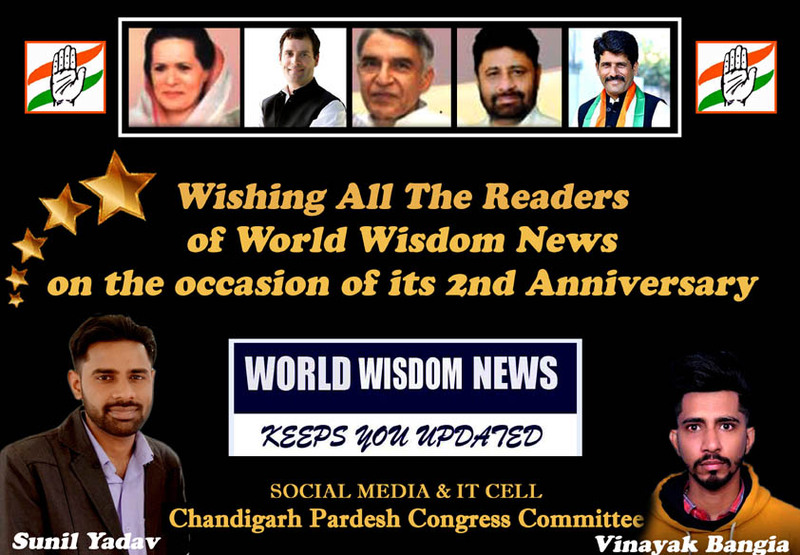 High School, Sector 26, Chandigarh was rewarded with cash Rs. 5,000/- with 1st class Certificate for performing her duty with keen interest and utmost devotion. Mr. Harpreet Singh Walia, Traffic Marshal was rewarded with cash Rs. 5,000/- with 1st class Certificate for performing his duty with keen interest and utmost devotion during organizing various traffic nakas and road safety programme. Mr. Vijay Kumar, Traffic Marshal was rewarded with cash Rs. 5,000/- with 1st class Certificate for performing his duty with keen interest and utmost devotion during organizing various traffic nakas and road safety programme. Sh. Jasbir Singh Bhatia, Traffic Marshal was rewarded with cash Rs. 5,000/- with 1st class Certificate for performing his duty with keen interest and utmost devotion during organizing various traffic nakas and road safety programme. Besides this, W/DGP/UT appreciated the hard work put in by police personnel and the police personnel who secure the exceptional positions in the recent All India sports/Shooting meet. The following police personnel have been rewarded with suitable cash reward and commendation certificate for their best performance in the field of sports. Sh. Tajender Singh Luthra, IPS, Director General of Police, UT, Chandigarh, congratulated them for their achievements.